Carol Heiser-Altshiller re-established the golf program at Hamilton High School in 1984, and coached the Yankees to consecutive League titles in 1984 and 1985. In 1986, she established a golf program at LACES (Los Angeles Center for Enriched Studies). In a school with only 800 students, Carol led her teams to 5 League titles and another 5 second place finishes. Ten of her students played in the Southern California High School State Championships. Carol has also coached Drill Team, Cheerleading, Songleading, Step Team and Hip Hop Team at LACES and Muir Middle School. In eight years at Muir, her Cheer and Drill teams won numerous awards. At LACES, she initiated and developed the school’s various spirit teams and coached her students from scratch beginnings to national championship level. Her teams won numerous titles in Southern California and placed impressively in national competitions in Florida and Las Vegas. Some of her former cheerleaders have gone on to become cheerleaders at major universities, professional choreographers, and some have performed in Super Bowl half-time shows. Before she began 11 years coaching-teaching at Muir Middle School and 19 more years at LACES, Stockton-born Carol Heiser was the #1 player and a four-year letterman on UCLA’s Women’s Varsity Golf Team. She has been the L.A. City Schools’ Women’s Golf Club “Player of the Year” 18 times. She has placed in numerous Southern California Amateur tournaments over the years, and been a member of the Braemar Country Club Women’s Team for nine years. Carol serves on the Golf Advisory Board for LAUSD, and is coordinator and tournament director of LAUSD’s re-established Girls Golf Program. 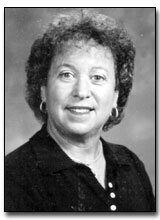 In 1983, she helped develop the Secondary Physical Education Teaching Guide.